Entry level floorstanding model in the Monitor Series sitting below the flagship Monitor 300 with MMP II, Black C-CAM and Hive II technology. Monitor Audio Monitor 200 slim floor-standing speakers reveal every aspect of a performance. Their glossy lines and orange drivers make them a trendy addition to any room. 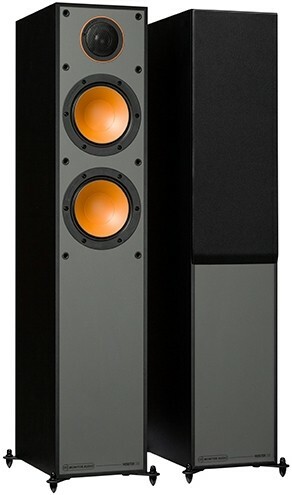 Monitor Audio's artistic use of 5.5" and 6.5" drivers produced a compact bookshelf, floorstanding model together with larger bookshelf and floorstander to supplement larger rooms and higher power applications. The Monitor Series brings rich audio resolution in two-channel and multi-channel systems. Fusing the C-CAM dome tweeter from Monitor Audio’s award-winning Bronze series with a creative use of the drivers’ configuration, the speakers are tuned to deliver a genuine musical performance. Dual 5.5" MMP II drivers fuse to provide dynamic, punchy bass lines. The mid-driver is crossed over to the black C-CAM tweeter higher up in frequency leading to perfect phase. 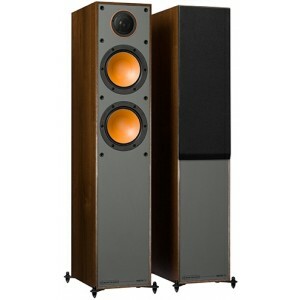 The slender Monitor 200s are the smallest floor-standers in the series and are made to deliver a stunning audio performance in small to medium-sized rooms. 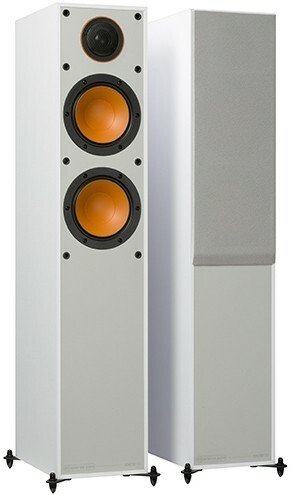 They have all the fastidiousness of a two-way speaker, with the inclusion of a further bass driver for scale and power. The speakers host all the class and panache expected from Monitor Audio and come in a choice of black, white or walnut. Their vivid design and build ensure that they will liven up any room. 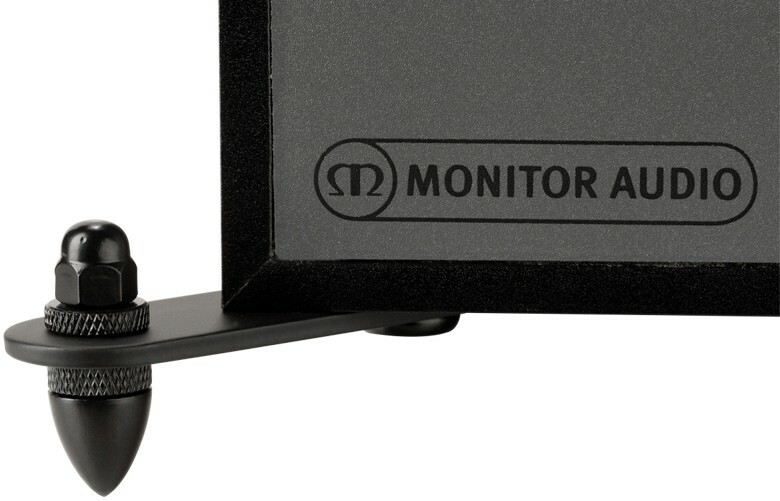 The Monitor 200s are armed with outrigger feet for a sleeker look, consume less floor space and lift the solidity of the speaker.